Turn your cans and bottles into aid for pets in need! 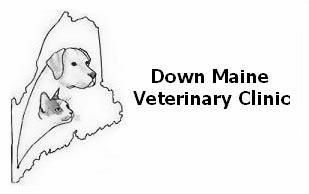 The DMVC is pleased to announce a new Hannaford "CLYNK" program to help pets and clients in need. Our CLYNK program allows you to convert your returnable bottles and cans into funds that we will place into the Doris Cross Memorial Fund. Doris was a loyal DMVC client, dedicated pet owner and an avid breeder of Pekingese dogs. She bequeathed funds to the DMVC with the intention that they be used to help the pets of loyal DMVC clients that have fallen on hard times. With our CLYNK program, we endeavor to maintain this fund and Doris's legacy. To contribute, simply pick up a green, pre-labeled CLYNK bag from our front desk and use it to return your returnable cans and bottles to your nearest Hannaford recycling center. All proceeds from the returnables will be used to maintain the fund.